To provide our clients with a refreshing and exceptional experience before, during ​and after we skillfully refinish their furniture to better than new. To culivate and inspire a culture that embraces and values personal style, quality, sustainability and story​ over design trends, low prices and consumerism. ​Anyone who knows Gary LeClerc knows he is a passionate artisan, skilled craftsman, and unbridled innovator. Possessing a deep passion for restoring and renewing furniture, Gary grew up watching and learning from his father who taught him from a very early age what makes a great piece of furniture and how to refinish it back to a beautiful and functional state of being. As time went on, Gary's reputation spread across the state of Connecticut as he became known for his ultra-creative and collaborative spirit which began to yield one-of-a-kind pieces of "re-imagined" furniture that would arrive in his brick and mortar [RE]new Gallery and [RE]design Studio throughout the year. Gary believes that every piece of furniture represents a unique time and era in American history and captures the raw style and exceptional quality that new furniture often lacks. Gary believes that furniture should reflect a person much like a piece of art and that [RE]new furniture has the ability to do this while also being one of the most sustainable options available to the public. If you are here looking for Cheshire Furniture Refinishing, you are in the right place! 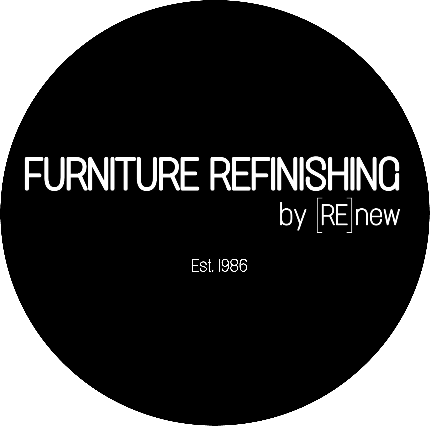 In 2010, Cheshire Furniture Refinishing began the transition to our new brand - [RE]new. Our company is still owned and operated by members of the LeClerc family with the current owner being Gary LeClerc. As of June 2015, [RE]new moved it's operations from Willow St. in Cheshire, Connecticut to Townline Rd. in Wolcott, Connecticut. The office phone number remains the same - 203.272.3098. We're glad you found us and we are here to help you with all of your furniture refinishing needs! "BEYOND THE AGE OF INFORMATION, THERE IS THE AGE OF CHOICES." Want to ​visit the [RE]new Studio? Contact us today. Our [RE]new studio is a 3,500 sq. ft. space consisting of two levels. ​The first floor is our production floor and the second floor is our design studio and gallery.